Wireless Light Switches are very popular with consumers. Not only do they provide convenience in being able to check if lights were inadvertently left on, they can be managed to save lots of money off your electric bill. It adds security to your home, by enabling you to program lights on/off at certain times. 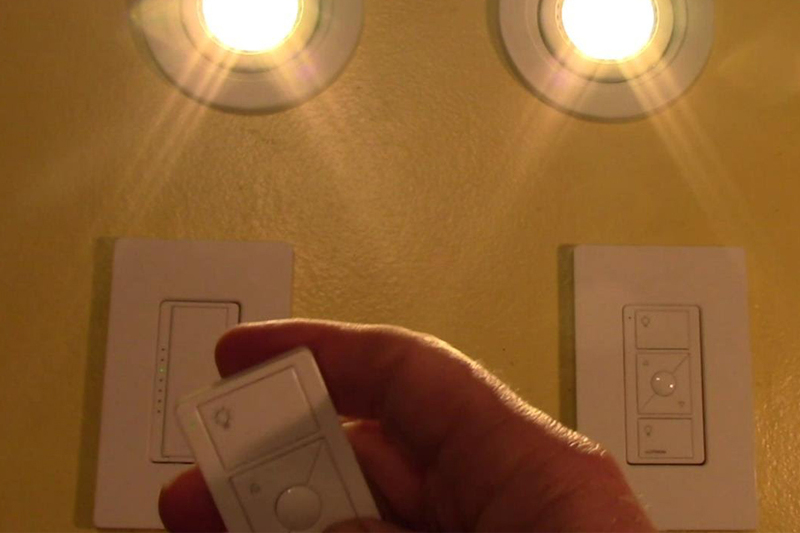 You can turn lights on in your home before entering the home, from your smartphone. This adds to your home security. As with any new technology there are many companies that introduce products that are inferior. We have selected the best products on the market. We have selected wireless light switches that come from reliable companies. Products having a strong track record of quality and service. This will ensure you have the safety and security you are seeking with these wireless light switches. 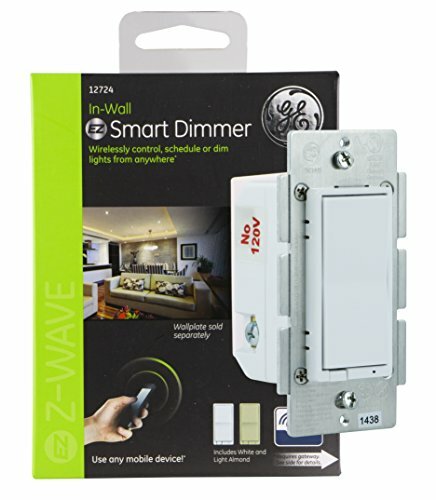 The GE 45612 Z-Wave Wireless Lighting Control In-Wall Dimmer replaces your current light switches adding the ability to control the on and off functions through the Z-Wave technology. 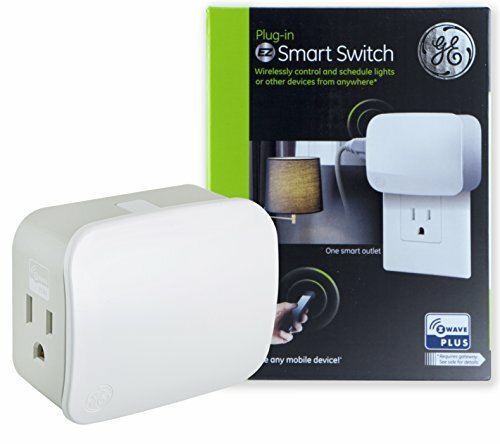 The GE 45612 Z-wave is a perfect application for night owls. It has a blue LED indicator light that allows you to find it in the dark. The blue LED indicator not only helps you find the switch but also can allow you to have the indicator on when the light switch is in the on position so you can tell if you leave the light on. The lighting control is fast and easy to install. It uses all the same wires as a normal light switch making it a simple conversion. The wireless feature allows you to control the lights that are connected to the controller, even when you are not home. With just a few steps on your cell phone or laptop you can turn your lights on or off remotely. If you arrive home late you can turn on your outside light while in the car, without having to leave the light on for hours, saving you electricity. The Jasco 45609 Z-Wave wireless lighting control on/off switch is a great switch for families that are on the go. Whether you are headed out of town for weekend fun, vacation oraway from home all day for work, this switch allows you to manually or wirelessly turn your lights on and off. This switch is a great option for children’s rooms because it has a little blue LED light indicator that allows you to find the switch in the dark. The blue LED indicator is not so overwhelming that it will keep you up at night but can provide a soft nightlight feature that uses virtually no power. This switch can also be used for your outside lights. With the wireless capabilities you can turn the outside light on as you pull up in the driveway, saving hours of electrical use if you had to leave the light on the entire time you were away. The blue indicator can be switched so that it is lit when the switch is in the on position, witch allows you to be able to tell if a switch is on from across the room or to know when the switch was left on which will save money on your electric bill. 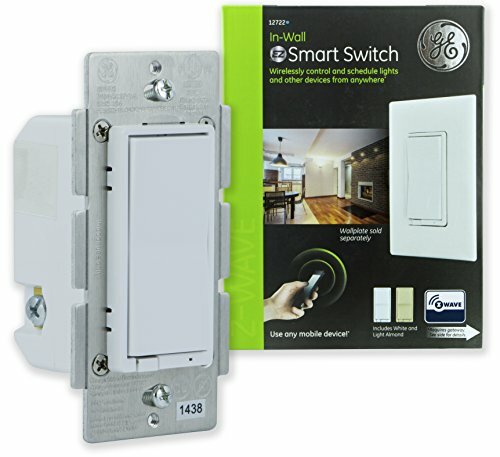 The GE 45603 Z-Wave technology wireless lighting control allows you to run lamps appliances and more. You can plug it into your outlet and not block the other outlet. This will enable you to turn on lights, nightlights, and lamps from your smart phone, tablet or laptop. If the children leave a light on and you are away from home, you can check the lights and turn them off remotely. You can also dim the lights to set the mood, remotely. This is useful when you are entertaining guests. You will never have to worry about whether you remembered to turn off the lights or appliances. With an easy to use app GE has you covered. The app is easy to use and easy to control and operate the features of your home remotely. BestConsumerReviews.com is a participant in the Amazon Services LLC Associates Program, an affiliate advertising program designed to provide a means for sites to earn advertising fees by advertising and linking to Amazon.com.